Ubuntu 11.04 is also available as it’s the last version that supports a proper Desktop (Gnome2 aka Gnome Classic) out of the box. Cinnamon is available on request (Gnome2 workalike, as an alternative to Unity) on newer Ubuntu desktop installations. Django 1.3 is now available for hosting. As always, we’re happy to install any Django plugins you want when we set up your instance. We can also help build your site, please email info at librehosting.com or joe at same. Just put it in the “Notes” field when you place your order, and we’ll install it for you, along w8ith whatever other custom Django plugins you need. 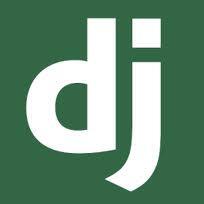 Django 1.2.1 is now available for ordering here at Libre Hosting. Django 1.2 Beta Now Available! The upcoming Django 1.2 Beta is now available for ordering here at Libre Hosting. Your VM will be set up to sync to trunk, to allow you to keep up-to-date – all the way through to the release of 1.2 and beyond! As always, the actual 1.2 release itself will be put into our usual dropdown menus when the final release occurs. In the meantime, just use the “Notes” field. We are proud to announce that we now support and can install the latest trunk-version (0.9) of Satchmo, installed from Mercurial (aka “hg” – get it?!). Since it’s installed directly from the VCS, and symlinked into the python path, this allows for updates to the source tree anytime – in other words, instant upgrades (and downgrade, if a problem is encountered!) anytime (depending on your VCS). Django, and other plugins, are installed this same way, as always – we have done it this way since 2007. Here is a quick intro on how it’s done – just indicate you want us to install Satchmo in the “notes” field when you place your order, and we’ll get it done for you. In keeping with the new, recommended Django deployment method of mod_wsgi with Apache , we have migrated our internal processes as well as deployed multiple new systems this way – and from this point forward, this is how Django (current, 1.1+) will be deployed by default. We also still fully support the mod_python deployment method, and will be happy to work with you to set up your custom environment, whatever it may be. Please note that nginx, Lighttpd, and of course Apache with mod_python are also all still available on request. Just put your request in the “Notes” field when you place your order and we’ll get it done for you. We are proud to announce that the Django-based social-network-enabling Pinax project, is now one of our standard instances, and can be hosted here at Libre hosting, with the usual full root access. Pinax version (as of this writing), is v0.7.0dev, and is installed with svn to be updatable with svn up, as always (and as our Django instances are, by default). Other versions available on request. Apache with mod_python is the default webserver installed, but we will be happy to install Lighttpd on request (or nginx by prearrangement – contact us for details) with mod_wsgi instead. Our default Pinax installation includes Django svn trunk (~1.1 as of this writing) with all plugins preinstalled by the Pinax installation scripts. We do not install into a Python virtualenv, because this is intended to be a dedicated Pinax / Django installation. We can make changes accordingly as desired, upon your request. Django 1.1 trunk – the prerelease, currently targeted for March 2009. Although 1.1 is not yet officially released, trunk is always pretty stable – as projects go, the Django team can be relied upon to keep the trunk tree extremely reliable – we run trunk in production, for example. For new projects, we recommend this option. Legacy 0.96.3 is the last release before the 1.0 release which broke backward compatibility – it includes the older admin interface (with nested Admin classes), and the older Signals implementation – which provide a migration hurdle for many production environments – we have several customers and friends still running 0.96.3 until they address these migration issues. We can also help with this, if you need us. The official released version, 1.02, is stable, and well-tested. We recommend this option for those conservative production environments that have full-blown separated test/staging and developent envoironments as well. As always, if you need a specific legacy version (or a specific trunk svn release for that matter, or release-by-date) we will be happy to install it from svn on request, just plce your request in the “notes” field when you place your order. We will also happily install any Django packages you desire, as well, on request – try the lists at Django Pluggables and Django Search. Google Code also has a good number of Django-related projects hosted there. And remember, if you need design, development, or site setup assistance, we are always here to help.